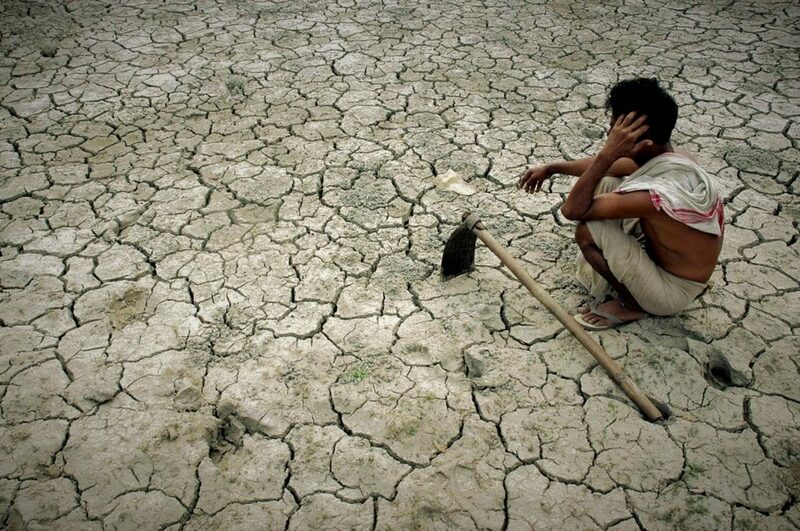 The dark sides of climate change are attributed to nearly 60,000 Indian farmer suicides in India as per a recent research that noted the vulnerable sides of the rising temperature in the developing nations. The research paper on Agricultural & Resource Economics authored by Tamma A. Carleton of University of California, Berkeley finds that more than three-quarters of the global suicides occur in developing countries such as India. Despite a clear indicator of human hardship, a very little is investigated about the drivers of suicidal behaviour in the poor populace of the world. Scratching the surface harder, the report links an increase in five degrees on a particular day to an additional 335 deaths. “I estimate that warming over the last 30 year is responsible for 59,300 suicides in India, accounting for 6.8 pc of the total upward trend. These results deliver large-scale quantitative evidence linking climate and agricultural income to self-harm in a developing country,” Tamma writes in the report. The relation between the rising temperature and the farmer suicides was drawn only during the growing seasons when a rise in even a degree of temperature can damage the crop yields bringing a toll on the Indian farmers living below the global poverty line. To substantiate this major climate change, the report also cites that with an increase of rainfall even by 1 cm the suicide rate dropped by 7 pc. In a very recent verdict from the Supreme Court of India stating that the government should be able to prevent farmer suicides, the much talked-about Pradhan Mantri Fasal Bima Yojana was discussed. The Supreme Court said that the government should have policies to ensure that the farmers hit by crop loss due to the climate change don’t resolve to suicides. Moreover, states such as Uttar Pradesh and Maharashtra wrote off farmer debts of INR 360 billion and INR 300 billion respectively as their commitment to the rising issue of farmer suicides in India. However, discrepancies in the government policies and ambiguity in the loan write-offs have hardly received the due attention. With insurance schemes to protect crop failures and farm-debt waivers rolling in various states addressing the woes of the huge agricultural mass of India, the hope to correction remains a challenge. In her report, Carleton said that the Indian farmers are unable to adapt to the climate change and there is hardly any technological help that will help them accommodate the rising mercury. While her report clearly points out to the under-reported suicides in India, she clearly states that the imperativeness of the issue should be addressed on priority. How pious is Yogi’s inclusive rural development plans? Why are Indian farmers unhappy?